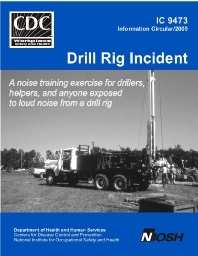 This Instructor's Copy contains most of the materials trainers will need in order to use Drill Rig Incident (DRI). It includes suggestions for using the exercise, performance objectives for the training, master answer sheets, a scoring key, and a set of discussion notes that provides additional subject information. Four appendices are also included. Appendix A is the complete exercise problem booklet. It may be reproduced so that every person in the training class has one. Appendix B contains answer sheet blanks. The blanks are furnished if you choose to have the invisible ink answers that appear in appendix C printed on them at your location. Answer sheets are consumable. One is needed for each group of three to five persons who work the exercise together. An alternative is for each individual trainee to have his/her own answer sheet. Appendix D contains the 24-question pretest/posttest that was used in the field evaluation of the DRI exercise.